Can you get paid for slip and fall accident caused by not paying attention? 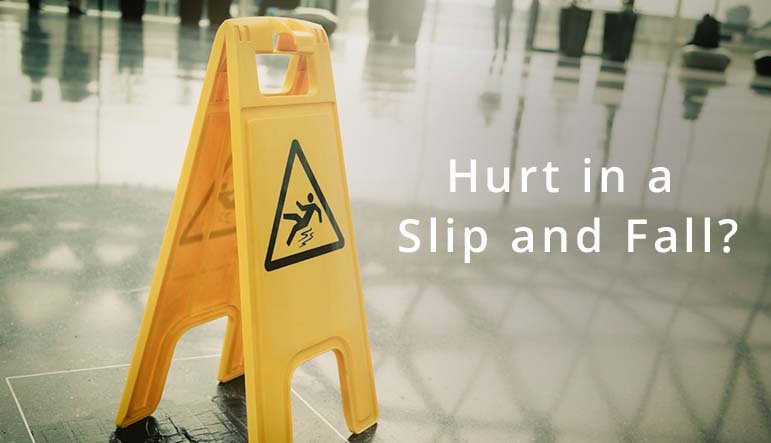 Can you claim compensation if you injured due to slipping and falling? Australian media has recently been awash with the news of a mother-of-two who received $90,000 in compensation from a NSW District Court as a result of being injured after slipping on a grape in a Coles supermarket in NSW. On 19 October 2012, Ms Sangeeta Guru was shopping for groceries at a Coles Supermarket in Cambridge Gardens when she stepped onto a grape she had not seen on the supermarket floor. Her foot slipped forward and she lost her balance, falling heavily to the floor. The fall resulted in Ms Guru sustaining multiple soft tissue injuries to her limbs and torso. Ms Guru’s claim was brought under the Civil Liability Act 2002, which allows claimants who have injured themselves in NSW to seek compensation for their injuries, where the injuries are caused by negligence of the others. In Victoria, the equivalent legislation is Wrongs Act 1958 (Vic). The incident report completed by Coles’ employees stated that the incident happened at 5:20 pm. and the last time the floor area involved was cleaned before the incident was at 1:00 a.m. that day. Coles argued that the risk of slipping over grapes was obvious; and it therefore had no duty to warn customers of the risk. This argument was dismissed by the Judge, who considered that at the time of the incident Ms Guru was looking at the displays of merchandise for sale at Coles, and this was “the very purpose of her presence in the store.” He also stated that Coles should have anticipated that its customers would have applied their attention to the merchandise up for sale. Furthermore, the Judge noted that Coles wanted its customers to place its attention upon the merchandise for sale. Consequently, Ms Guru’s momentary inattentiveness was something that Coles should have anticipated, and she was entitled to expect that Coles would have an adequate and safe system of maintaining a clean floor, which would protect against the risk of customers falling whilst looking for items to purchase. In assessing the amount of compensation, the Judge noted that Ms Guru has continued to suffer from right shoulder pain and stiffness, pain in her right wrist, associated pain and swelling in three fingers of her right hand with occasional numbness, pain in the back of her neck, back, and right ankle, and constant pain in her right knee. The Judge accepted that due to her injuries, Ms Guru is impaired in her ability to carry out housework and participate in her pre-injury hobbies such as gymnasium exercise, hiking, kayaking, swimming, bushwalking, archery and dancing, for which he awarded non-economic loss at $39,500. The Judge also awarded future economic loss at $40,000, taking into account that fact that Ms Guru may encounter some difficulty in the future in her work as a beautician due to her injuries. Ms Guru was also awarded past out of pocket expenses at $1,350.45, future out of pocket expenses at $2,000, and past domestic assistance at $7,280. Her total compensation amount was $90,130.45. This case is a reminder that the Courts hold supermarkets to a high standard of duty of care, and that the Court is serious about protecting the safety of shoppers – even if they may not have been watching where they were going. If you have been involved in a slip, trip and fall accident at a supermarket or another public place, please do not hesitate to contact our personal injury lawyers at 03 9001 1318. How Much Compensation Am I Likely to Receive After a Road Accident?